Suede effect kaki loafers. Upper edged with small round studs and tab decorated with silver cabochons. Almond toe. Vanessa Wu's detail: Working girl or rocking girl ? 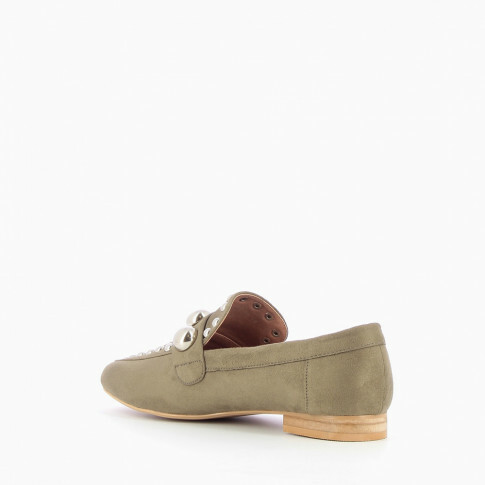 No need to choose with these trendy loafers! You can take their rock spirit to the office without a doubt. 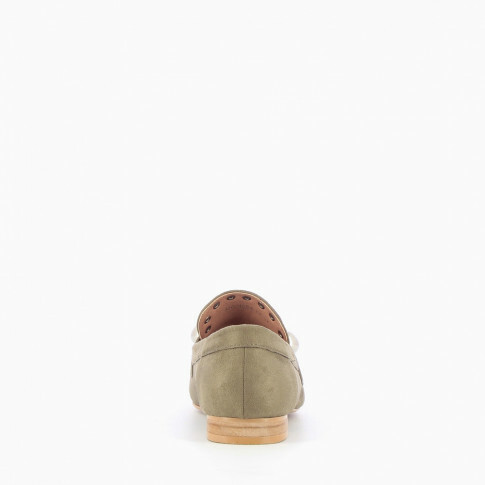 Vanessa Wu's loafers are made from high quality synthetic materials and a leather insole.